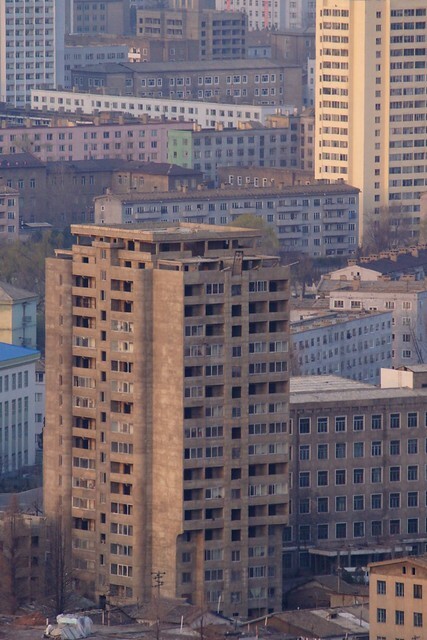 Pictures taken from the top floors of the Yanggakdo International Hotel showing Pyongyang bathed in the light of sunset. 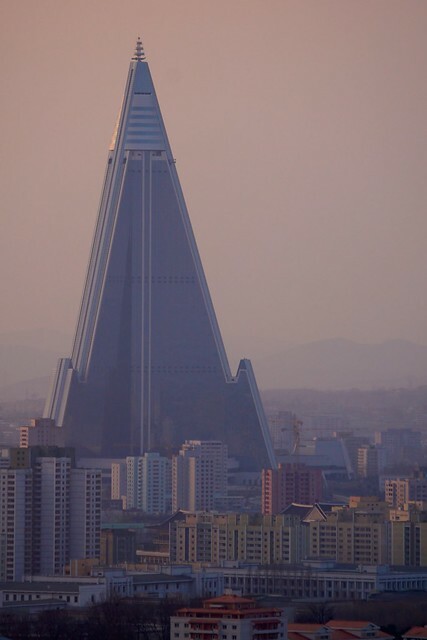 View of the famous Ryugyong Hotel. 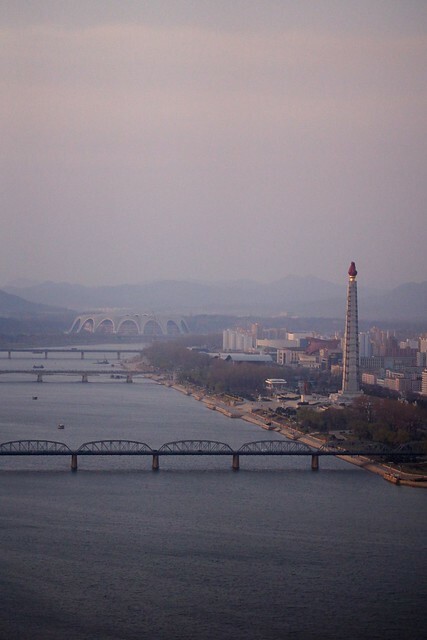 Taedong River and the Juche Tower. 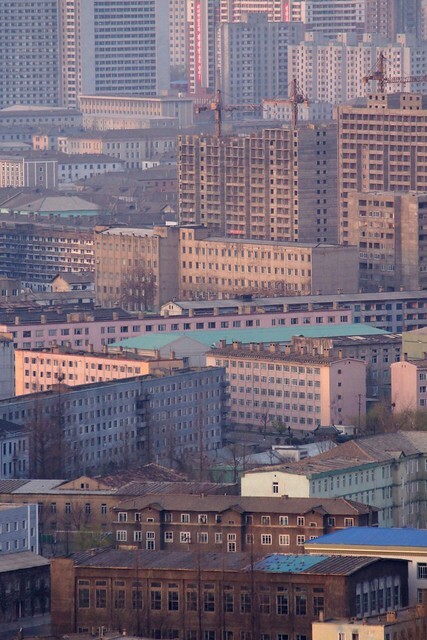 View of Pyongyang looking east. 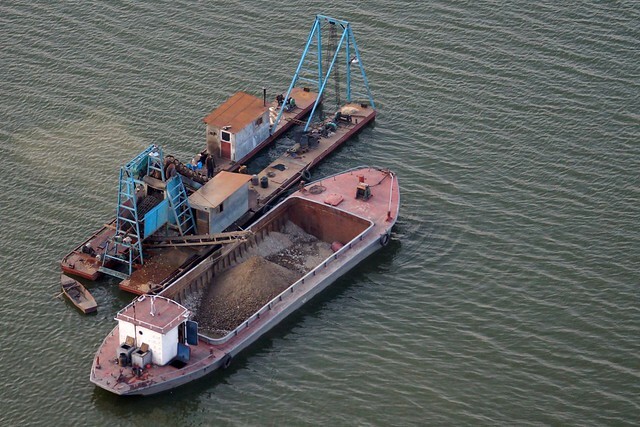 River dredge on the Taedong. 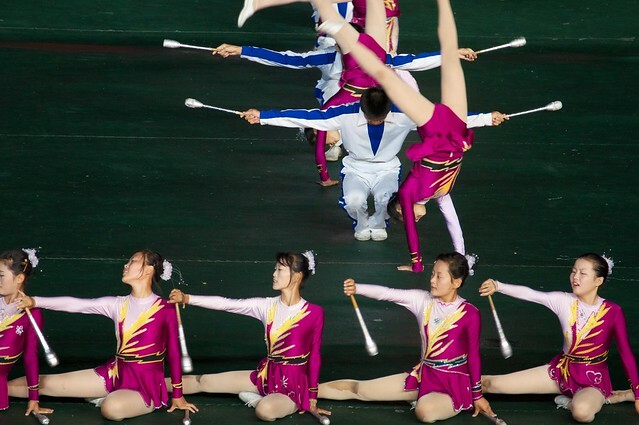 Last Chance to see the Arirang Mass Games? 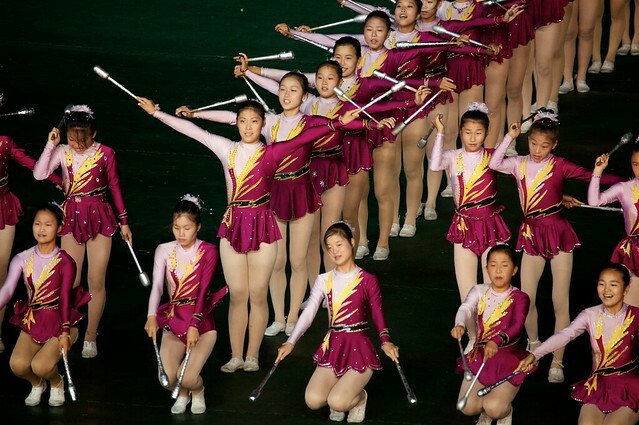 From my contacts at Koryo Tours: Word from our sources in Pyongyang is that the Arirang Mass Games of 2012 will be the last – so we suggest you sign up now to ensure that you can see this remarkable event while it is still running. 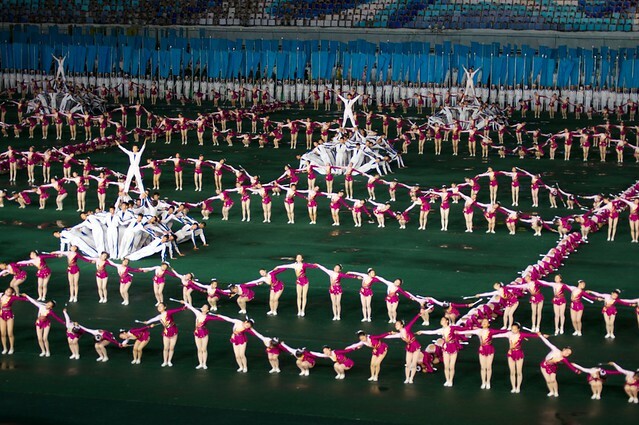 While mass games have been performed since the 1940s in the DPRK the Arirang show is the largest and most impressive they have ever produced. 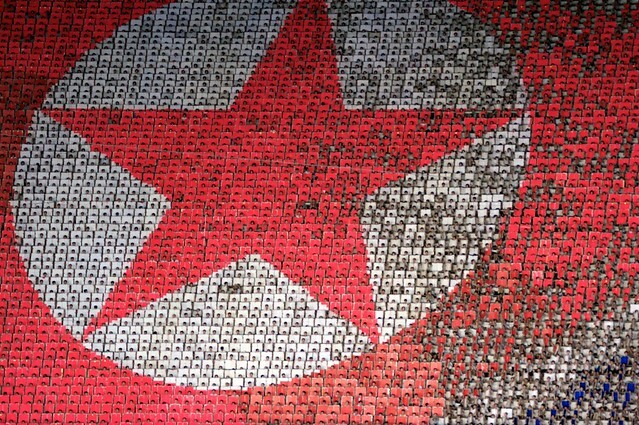 Born in 2002, since 2007 it has been an annual event, but 2012 will be Arirang’s 10th anniversary, and it seems the powers that be have decided to close the curtain. 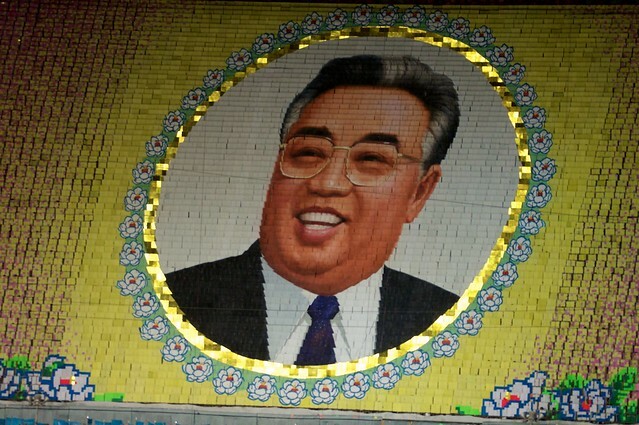 As for the reason, our Korean partners suggest that the narrative needs to change with the times. 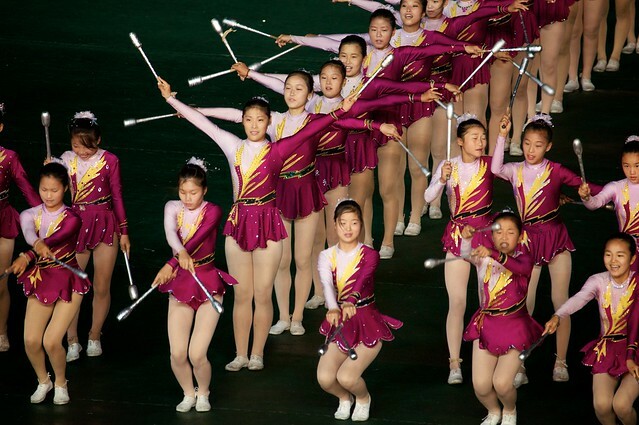 Combining dance, gymnastics, propaganda, politics, music, and even unicycling, this spectacular performance chronicles the struggles of the Korean people suffering under Japanese occupation, moving into the independent era and building a modern country – basically the period linked to the first 100 years since the birth of North Korea’s Eternal President Kim Il Sung. 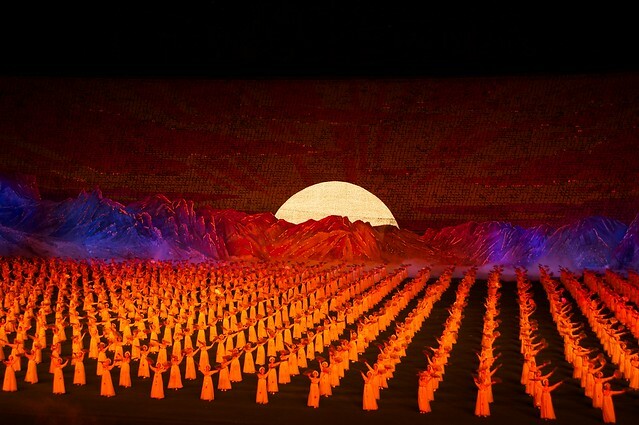 However, since 2013 marks the 65th anniversary of the foundation of the republic (Sept 9th) as well as the 60th anniversary of the signing of the armistice that ended the Korean War (July 27th), organizers are reportedly planning a whole new performance for next year. 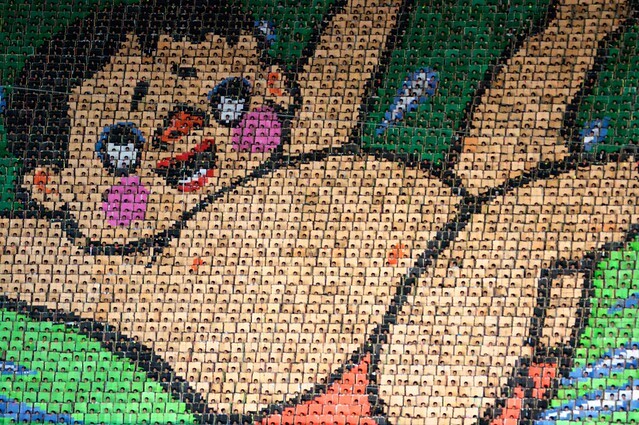 So if you haven’t seen Arirang yet, or if you want to see it one last time, this is your chance. 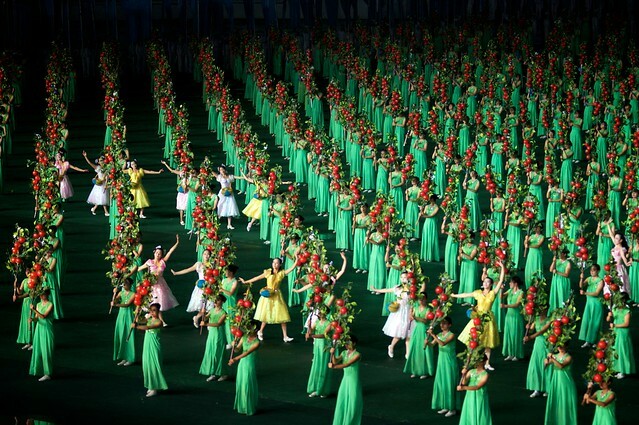 Don’t miss out on the biggest performance in the world – an event that makes any Olympic opening ceremony look like a school play! 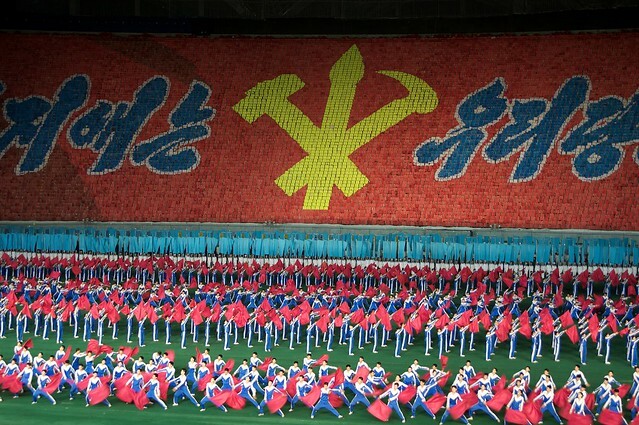 Staged at the massive May Day stadium in Pyongyang, Arirang is running from August 1st to September 9th, 2012, but as with the last few years we do expect an extension, perhaps as far as the middle of October (usually it finally ends around Oct 17th). 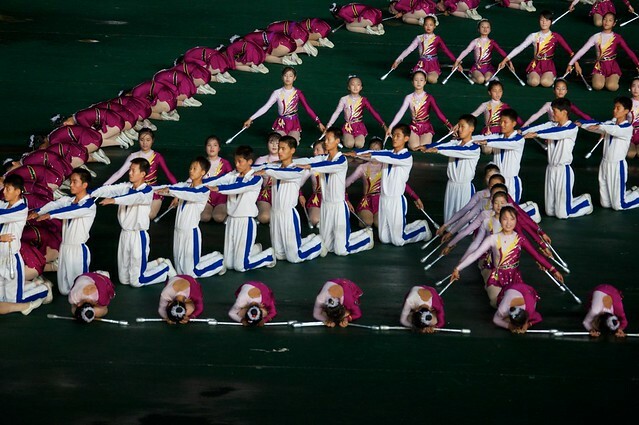 Don’t miss the Arirang Mass Games! 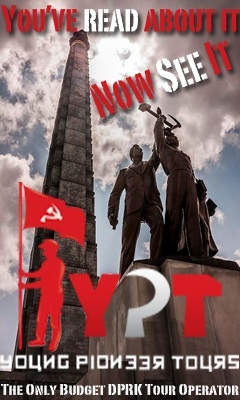 Tell us a little about yourself, and I will hook you up with a great DPRK travel deal for visiting! 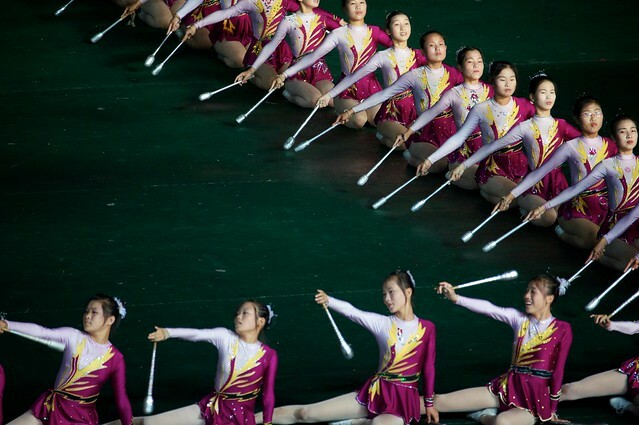 North Korean girls perform mass gymnastics at the Arirang Mass Games in Pyongyang, North Korea. 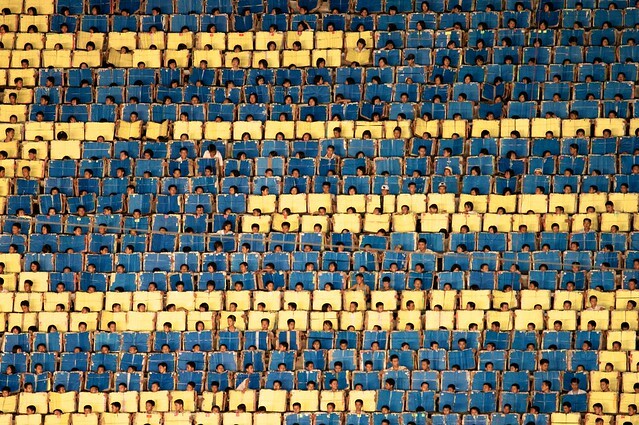 and then the nightmare begins! 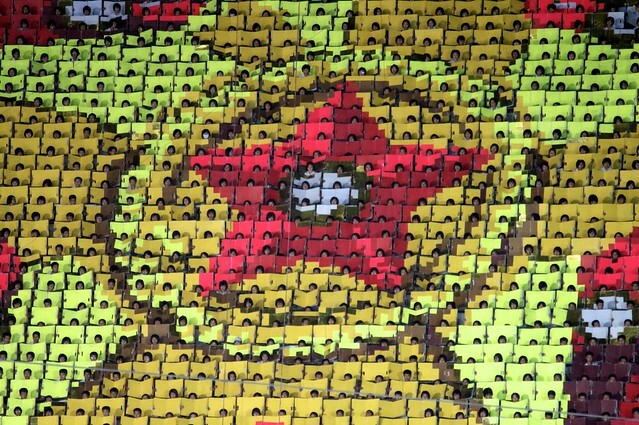 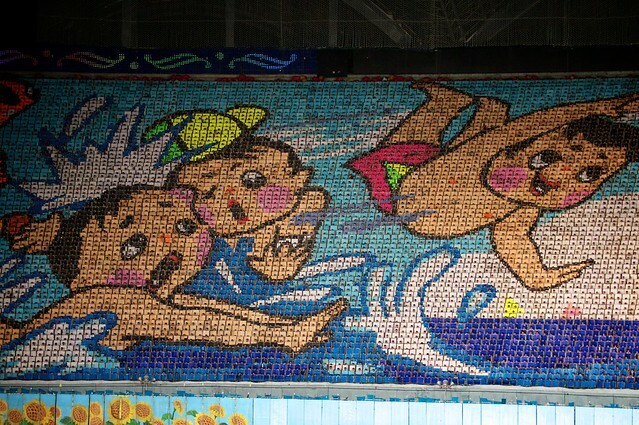 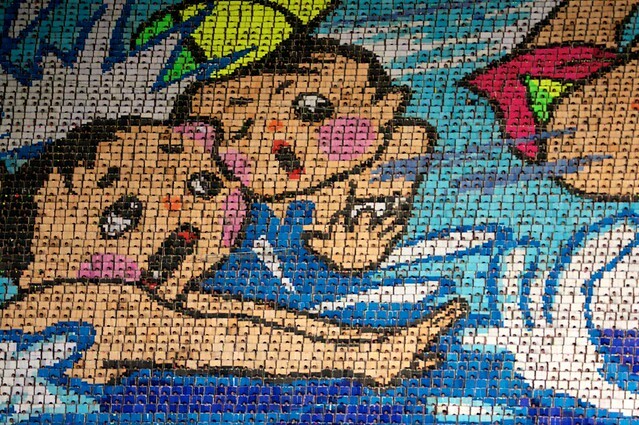 I introduced the mass human mosaics of the North Korean Arirang Mass Games in my last post. 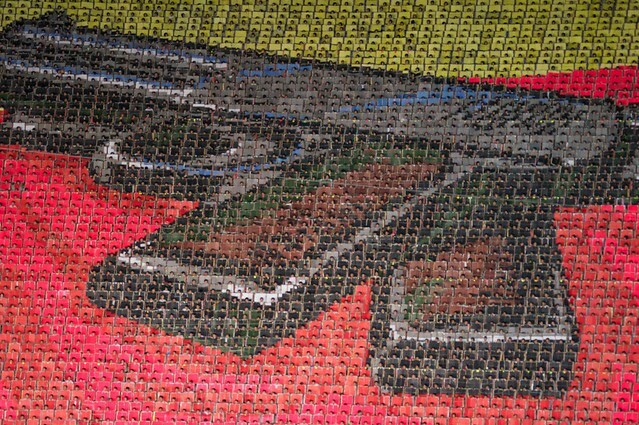 Just adding a few more photos of these incredible mass flip book images. 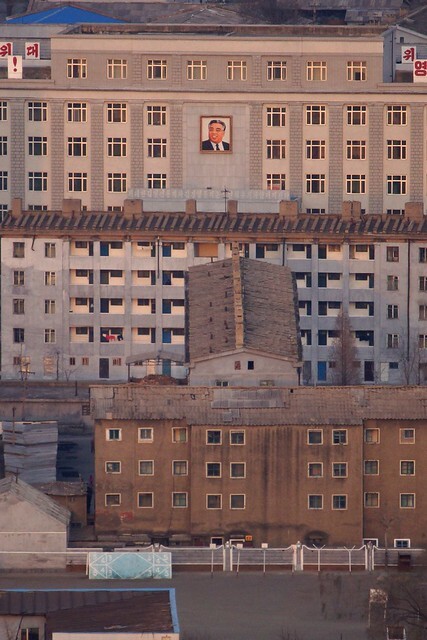 Proof that North Korea is a fun place! 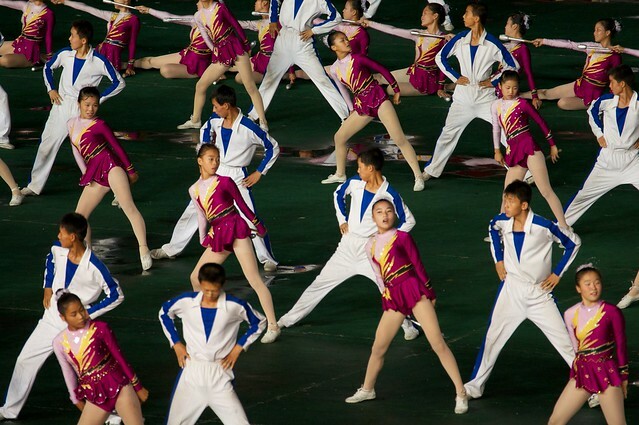 All pictures above are from the Aug. 27th 2011 Arirang Mass Games at the Rungrado May Day Stadium in Pyongyang, North Korea.